What is celiac or coeliac disease? Celiac or coeliac disease (also known as gluten intolerance or celiac sprue) is a digestive disorder of the small intestine which interferes with absorption of nutrients from food. The human body’s small intestine is lined with millions of microscopic, small, finger like protrusions called villi. Villi allow nutrients to be absorbed into the body when eating food. When a person who is gluten intolerant eats gluten the immune systems reaction is to damage the villi. This happens very gradually over a period of time and eventually the person is unable to absorb vital nutrients it needs to stay healthy. This can lead to malnutrition, possible anemia or osteoporosis. The disease can occur at any time in one’s life. Since it affects the absorption of nutrients it is very important to monitor a growing child for possible malabsorption, underweight, and other symptoms of the disease to ensure proper growth. It is also very important to monitor your childs behavior and note any changes. Many people get the disease confused with wheat allergies. Its important to understand the difference between the two. Wheat allergies usually have an immediate, severe onset and can sometimes be life threatening. What causes celiac disease ? The exact cause is not known. Research shows that the disease could be genetic, meaning it runs in the family. The disease can become active for the first time in some people after a stressful event, pregnancy, child birth, infection, bacteria or surgery. Eating foods with gluten will trigger abnormal response in the immune system so its important to be aware of your symptoms. Symptoms can occur very early in life so it’s important to monitor your children and have annual physicals. How is it treated? There is no cure. The only treatment is a diet for celiac disease otherwise known as a gluten free diet. Patients usually vary with gluten intolerance. Some people can eat small amounts of gluten and not have any symptoms while others can not tolerate even a trace of gluten without running to the bathroom with diarrhea. 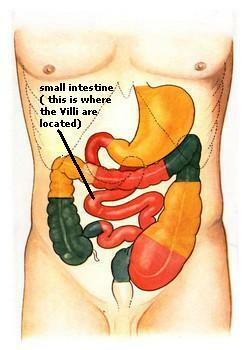 By following a gluten free diet the small intestine will heal over a period of time. Its important to have your doctor diagnose you before going on a gluten free diet. A diagnosis of celiac is done by a several tests. This information provided is not intended to replace the advice of your physican.